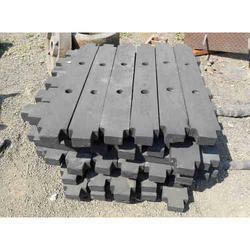 We are a leading Manufacturer of cast iron weight from Rajkot, India. Being a settled association, we deliver a fabulous variety of Cast Iron Weight that is broadly used in different business places for weighing applications. Our offered weight item is in consistence with industry standards and is absolutely produced utilizing premium quality cast press by our masters. Besides, our offered weight item is thoroughly analyzed by our quality controllers to give a deformity unfenced at customers' end. Looking for Cast Iron Weight ?